Countless retailers and businesses have begun their holiday season marketing surges in order to reach the desired consumer audiences in time for shopping season. Many brick and mortar businesses earn vast amounts of their revenue during the months of November and December – it is no different with many e-commerce business models. In the pursuit of that annual gold mine that is the holiday shopping season, we can sometimes become blinded by the potential dollars and thus fail to see the huge mistakes we have made in our approach. You only get one chance per year to get your holiday marketing ducks in a row, so it’s crucial that you do it right. Below, we will outline three ways that you can negatively impact your holiday sales and marketing so that you can avoid these scenarios. While consumer data shows us that promoting your holiday offerings too early can have negative effects, the desire to wait until the “traditional” holiday season begins can also be a bad decision that impacts your bottom line. Various surveys have shown that more than one-third of all shoppers handle their holiday shopping before the notorious Black Friday in late November – if you have not attempted to fill a demand in your niche for these shoppers, then there is a good chance that you have lost their business for this year. Remember: your holiday-centric content and products will need a certain amount of time before they are pinging search engines with the necessary authority. If you have a newer website with little to no authority, then paid advertising may be the best route to gain early exposure. It is a bit more difficult – not to mention more expensive – to advertise to the whole world than it is to target specific niches and geographic areas. Believe it or not, holiday shoppers from various countries operate on different shopping schedules (despite celebrating the holidays at the same time). Especially helpful to know if you are utilizing paid advertising, the targeting of specific consumers and countries during specific weeks in the holiday season – as opposed to blanket marketing – can increase holiday revenues by double digit percentages. You can even run your ads on specific days of the week in order to maximize the likelihood of conversions and purchases (helpful if on a limited budget). Nothing will doom your marketing efforts quicker than the utilization of last year’s holiday data to determine the best course of action. Not only do trends and preferences of consumers change from year to year, but shopping seasons themselves can radically change. The advent of Cyber Monday is a prime example, which is predicted to outperform Black Friday and any other shopping day this year in terms of gross revenues. If you were using data from past years, then you might suspect that Black Friday is a better day to target for a boom in customers. 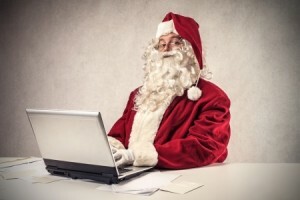 If you want to avoid the worst in terms of bad holiday marketing performance, then be sure to begin your promotions early so that you are pinging search engines in advance, target local audiences at relevant times/days, and have the most recent consumer data at your disposal in order to make smart decisions. « Black Friday Alert 75% OFF on 12 months / 500 URLS!